Here’s something I did a few weeks ago. 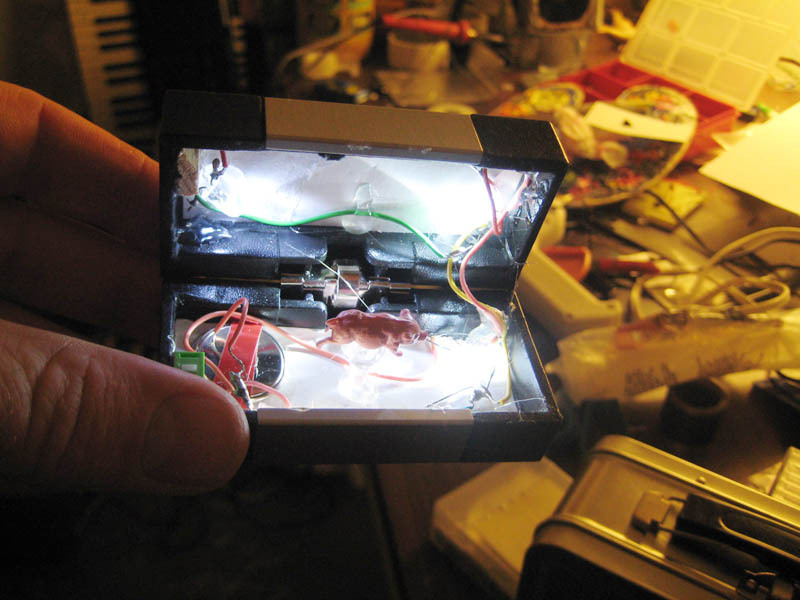 On the inside some lights and a battery and a switch that turned off the lights when the box was closed and some wires and, you guessed it, A PIG!!! 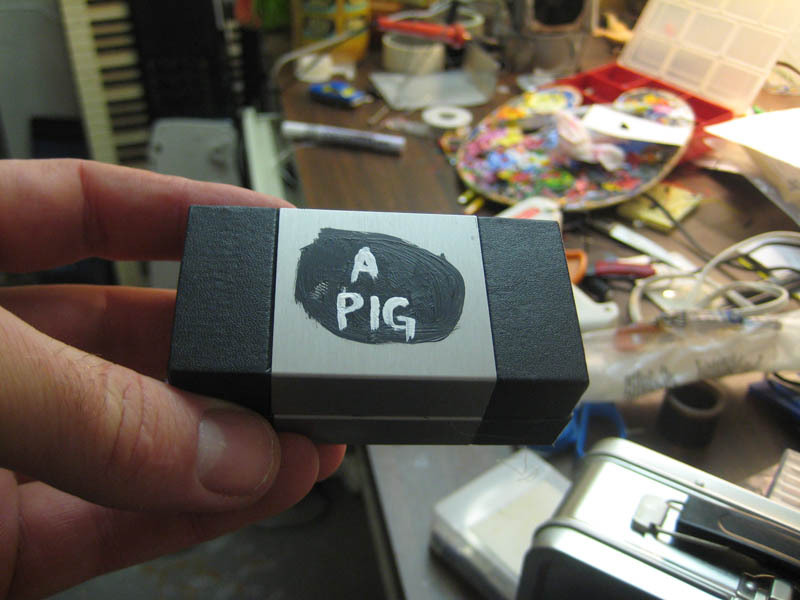 A plastic pig. On a thumb-tack pedestal.